I love counting down to Valentine’s Day! Besides Christmas, it’s my favorite holiday. Well, I guess Halloween is a favorite too. But I LOVE Valentine’s Day! And now that we’re in the middle of January, I decided it’s time to start pulling out or decor and start making up some fun treats to celebrate. And one of my favorite treats is a fruit tart. I’m a sucker for themed items, especially if they happen to be in a smaller size. This year was no exception. A couple of weeks ago, I was at Michaels getting some paint, and I happened upon a really cute whoopie pie heart pan. It’s adorable and cute. But I still wondered exactly what I would do with it. I’m trying to be better about not buying things I’ll only use once or twice. And I did something I rarely do. I walked away! Yep, I did. I figured if I could think of more things to make with that pan, I would come back and get it. And since I’m writing this post, I’m sure you’ve figured out that I did, in fact, buy the pan. 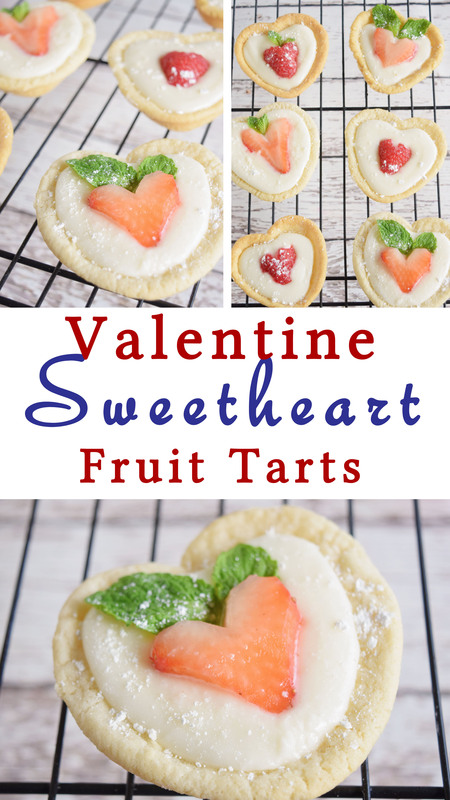 The ideas started coming and I thought it would be fun to do a series here on the blog, showing you what you can do with one pan for Valentine’s Day! This is my first recipe using this fabulous pan. And just so happens that the name of it rhymes! Maybe it’s a little cheesy, but I love it. Thankfully, this recipe couldn’t be easier to throw together. You could use it for a class party, a family party, or just because. And you can make as many or as few as you’d like. 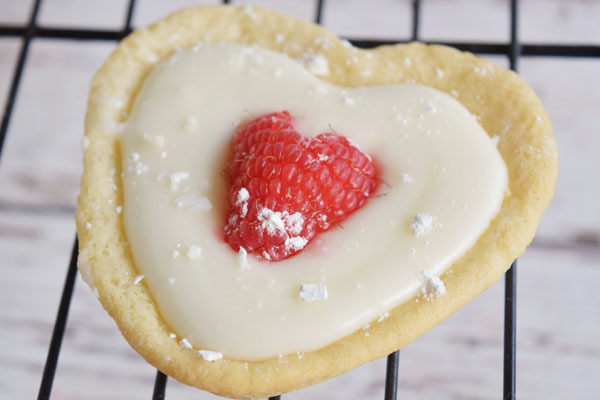 All you need is a roll of refrigerated sugar cookie dough, cream cheese, powdered sugar, a little lemon or vanilla extract, and some fruit. That’s it! First, you need the heart pan, or something like it. The one I showed here is on Amazon. The one I used from Michaels is almost exactly the same. Warm up your oven to the temperature in the directions for the cookie dough. 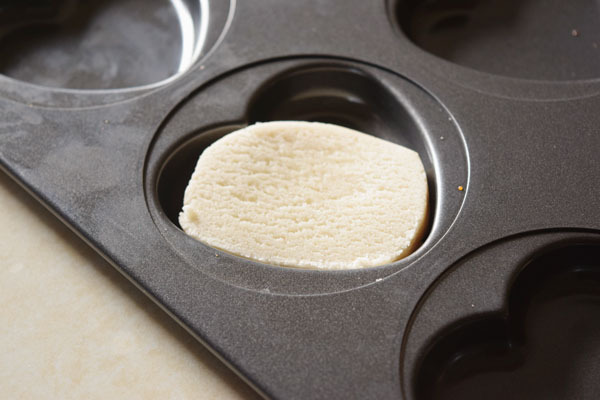 Slice the cookie dough into 1/2″ pieces. Press it down into each heart cavity. You don’t want the bottoms too thick or too thin. Be sure to push it up the sides to make a little dish. If you have too much dough, you can remove some of it and spread it back out in the pan. If it’s too thick, it will puff up when it bakes and will lose it’s shape some. Next, bake according to package directions. For me, it was about ten minutes. The dough should be a light golden brown. You don’t want it mushy in the middle so be sure that is baked through. 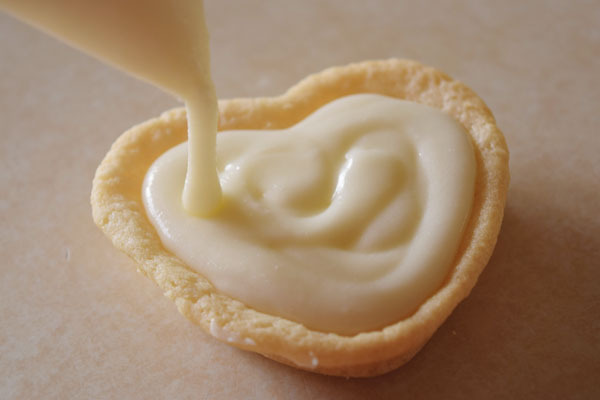 To make the filling, whip the softened cream cheese until fluffy. Add in the powdered sugar and vanilla or lemon extract. You don’t need a lot of the lemon if you choose to use that flavor. Whip it good! I like to put my filling in a plastic bag. In order to get the frosting everywhere when filling the bag, use a mug. Put the plastic bag in the mug and fill it with the frosting. Remove it from the mug, seal it (make sure there isn’t any air inside), and snip off the corner of the bag. The sugar cookie base should have a nice edge around it to keep the filling in. Fill your tarts with it’s yumminess! 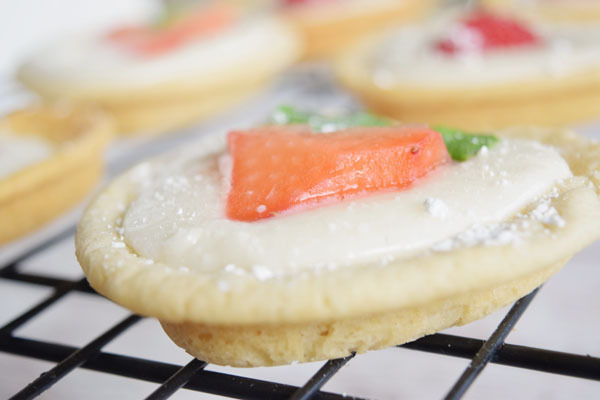 Decorate the tarts with fruit and dust with powdered sugar. 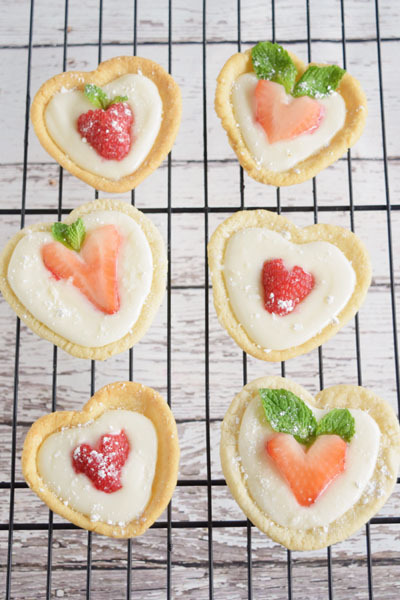 I made my raspberries and strawberries into heart shapes by slicing them and cutting off the rounded edges. 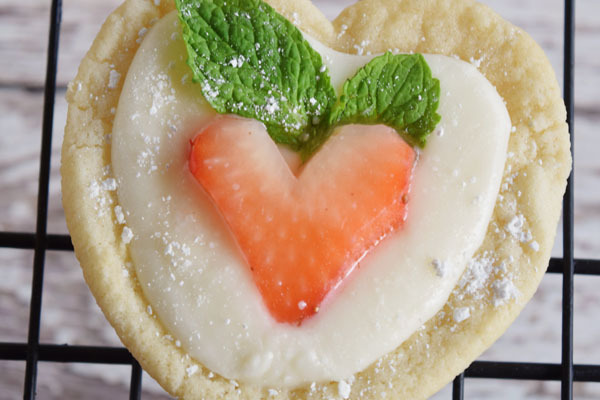 These are the perfect treat for your Valentine! 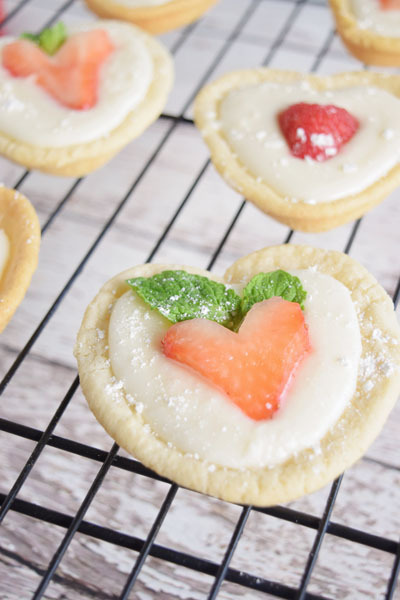 An easy tart perfect for Valentine's day or wedding showers! Cut sugar cookie dough 1/2 inch thick. 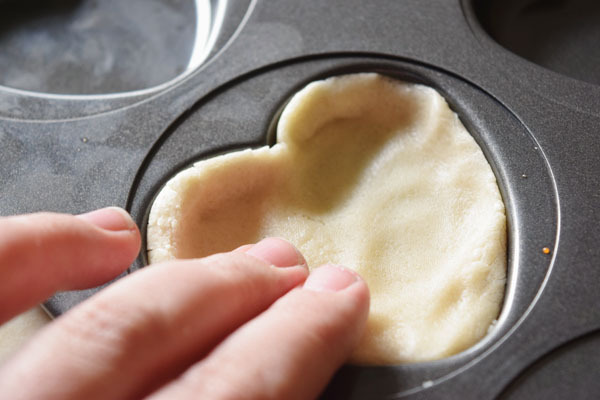 Press into heart shaped pan cavities, pressing up the sides of the pan to create a "bowl". Do not leave it too thick. Bake according to directions on package. 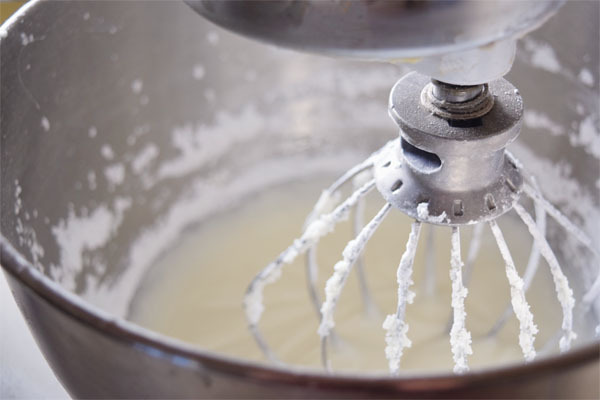 To make the filling, whip cream cheese until fluffy and light. Add in powdered sugar. Start with 2 cups and add more according to taste and desired consistency. Mix in vanilla or lemon extract (may add more according to taste). Fill tart shells when cooled with filling. Garnish with fruit and sprinkled powdered sugar. 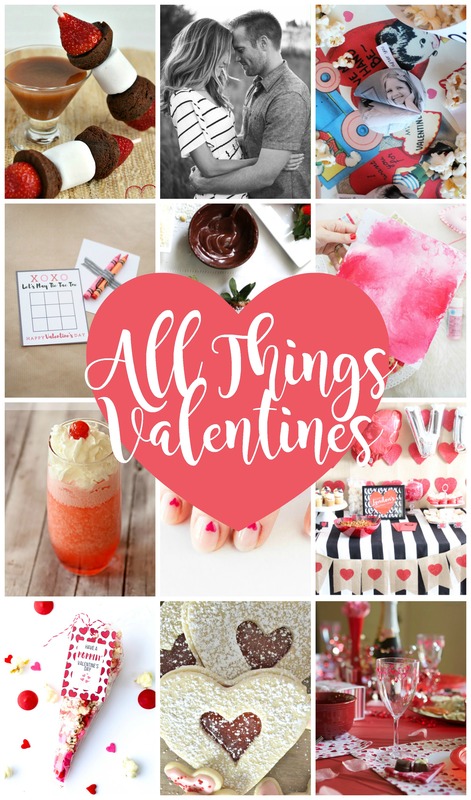 « Valentine’s Gift Ideas With Zazzle!